I wrote it because I was getting tired of the internal debates between egalitarian and complementarian Christians talking in their echo-chambers about a topic that the world needed to hear about from Christians. Even though I am not against talking through these things within our Christian huddles in order to keep working through this issue, I questioned whether any of this was making an impact missionally. I even wondered whether sometimes our discussions and debates were detrimental to our witness. As a female pastor, leader and preacher I also found that the discussions that we were having were occasionally personally hurtful, were sometimes creating more barriers between Christians and not helping when it came to breaking through the restrictions placed on female leaders in the church. I longed for a different conversation, a conversation where we could present to the world a fresh perspective on gender which had the fragrance of another reality, the alternate reality of the reign of God. So I wrote the article and I found that I was not alone in my thoughts. As a result, I was then asked to present the annual Tinsley Lecture on this topic at Morling College where I now teach. After this lecture, more conversations emerged around gender, being missional and the reign of God. People wanted an opportunity to explore the issue further and so two of my peers at College decided to put together a forum where respected scholars, thinkers and practitioners would present papers on the intersection between gender and politics, mission, sexuality, ethics, culture and Scripture. We held the forum last year and it was brilliant. The result of this forum is a book which has just been released called The Gender Conversation. It is exactly that. Various well known and not so well known but clever people who share their different perspectives on gender all in conversation with each other. The format of the book follows the forum format; a paper was presented then those with alternate viewpoints interacted with that paper. 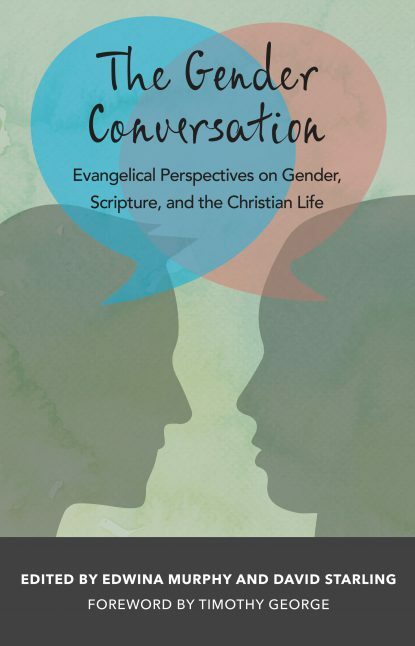 This is a book that represents a friendly, civil, creative, intelligent and missional conversation around gender. It was a pleasure to contribute a chapter to this book and also to work with others who had similar and different views from me on gender yet now after this forum, I can call them friends regardless of our differences. I think this book is a model for how through friendship, civil discourse and fresh expressions, we can work through some of these “hot topics in our churches so that we might be able to present our hope that the new creation has come and live that out as a witness to a broken world. This article first appeared at Missio Alliance here. The Gender Conversation book can be purchased here.